If there’s one dish that I look forward to during the holidays, it’s my mom’s cheesy broccoli and rice casserole. So much ooey-gooey-cheesy deliciousness packed into each bite! I mean, it has broccoli, so we get a pass on getting in those health-points and not think about all the cheese, right? On a serious note, it’s one of the best side dishes on the table for any holiday get-together and there are hardly any leftovers, ever. To mix things up this year, I’ve partnered with Sam’s Club and Campbell Soup Company products to bring you a twist on one of my favorite holiday sides! 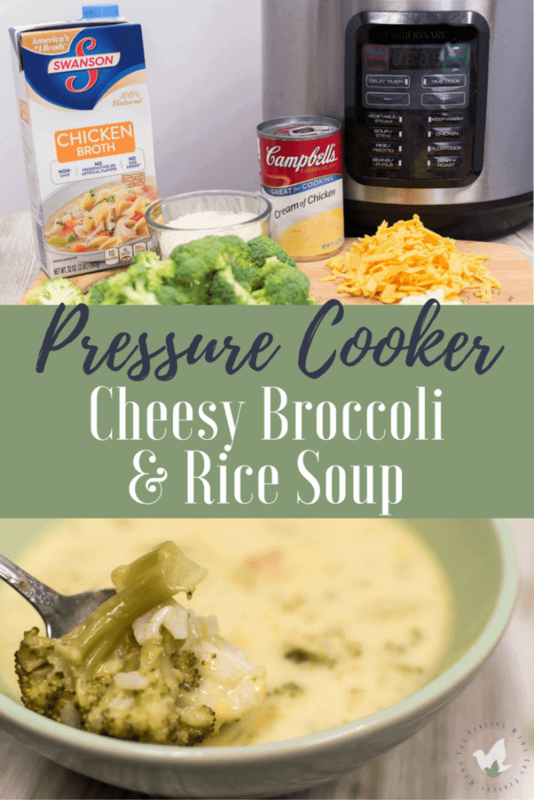 I know you’ll for sure enjoy this Pressure Cooker Cheesy Broccoli and Rice Soup! Hover over the image below to start shopping for Swanson® Chicken Broth and Campbell’s® Cream Soups! Soup in the winter is always a good idea, but you don’t want to get burnt out with the same old things. While I love Taco Soup and Zuppa Toscana, we still need to mix it up a bit! 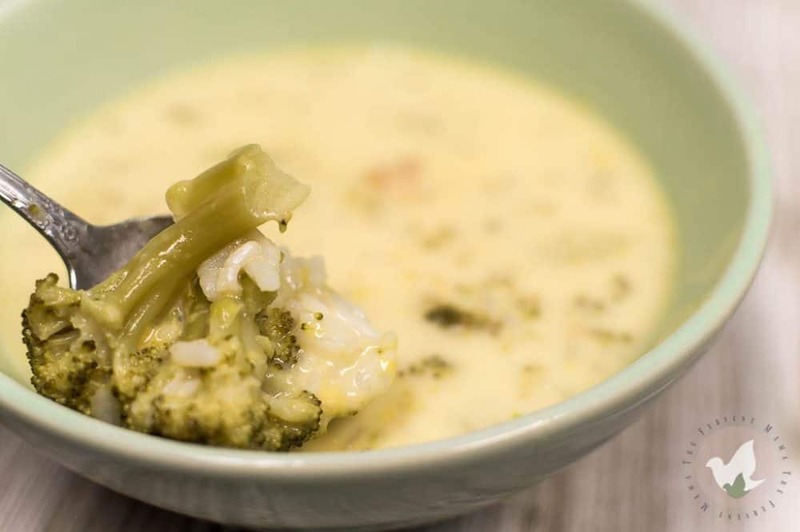 This creamy, heart-warming broccoli and rice soup should be on your menu tonight! 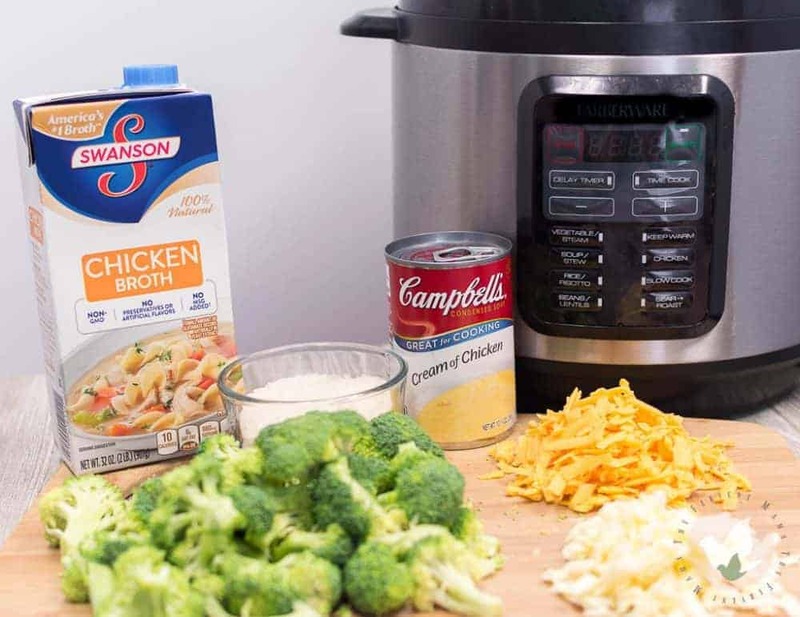 By using Swanson® Chicken Broth which is 100% natural and America’s best selling broth in combination with Campbell’s® Condensed Cream of Chicken Soup, which has no artificial flavors, colors or preservatives- you create a yummy, creamy starter for this soup. 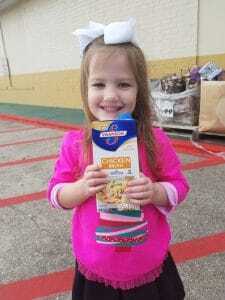 We visited our local Sam’s Club to get all the ingredients for our pressure cooker cheesy broccoli and rice soup! Honestly, I hate grocery shopping. Taking two kids to the store is an adventure, just not a fun one. But Sam’s Club makes it so easy to buy in bulk and have everything on hand when I need it, with minimal trips to the grocery store. Just like these Campbell’s® Condensed Cream of Chicken Soup, Campbell’s® Condensed Cream of Mushroom Soup pantry packs, and Swanson® Chicken Broth! Did I mention that Sam’s Club is like a toy store for kids? My kids are always amazed when we walk in the door; the giant boxes of food, the handy pizza stop, the huge sodas- they love it. Oh, and don’t forget about the sampling! My kids are miniature foodies and they don’t pass up the opportunity to sneak in more of their share of samples. Back to the soup, since that’s really what you’re here for. Seriously though, this soup is to die for! With just a small amount of ingredients and a very short amount of time, and you’ve made a delicious, pressure cooker soup that your family will love! Not all cheeses melt the same. 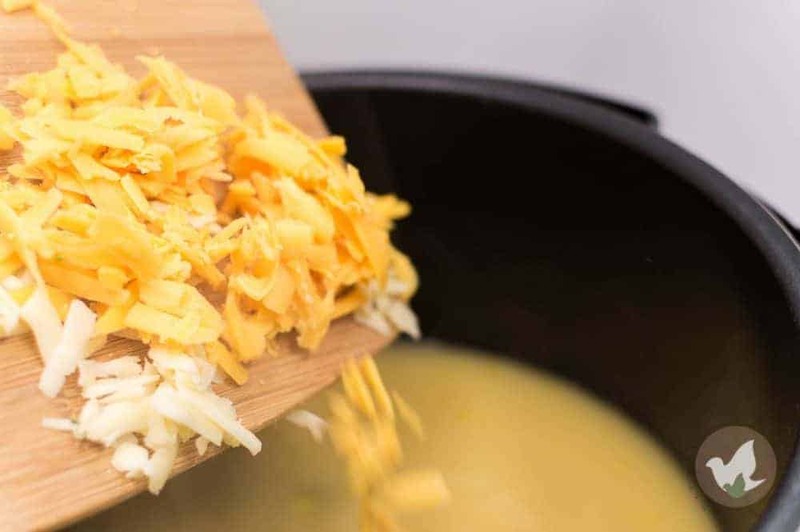 For the best tasting cheesy soup, it’s best to buy a block of cheese and shred it yourself. Using Sharp Cheddar Cheese is a preference, it gives the soup a richer taste, but you can use whatever cheese you like or have on hand. We prefer a mix of white and orange cheddar! You can add shredded chicken or chicken cubes to this to make it a heavier meal. 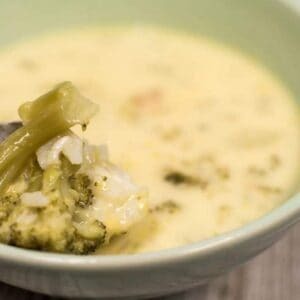 To make this soup KETO, you can add chicken, leave out the rice, and/or add cauliflower rice! 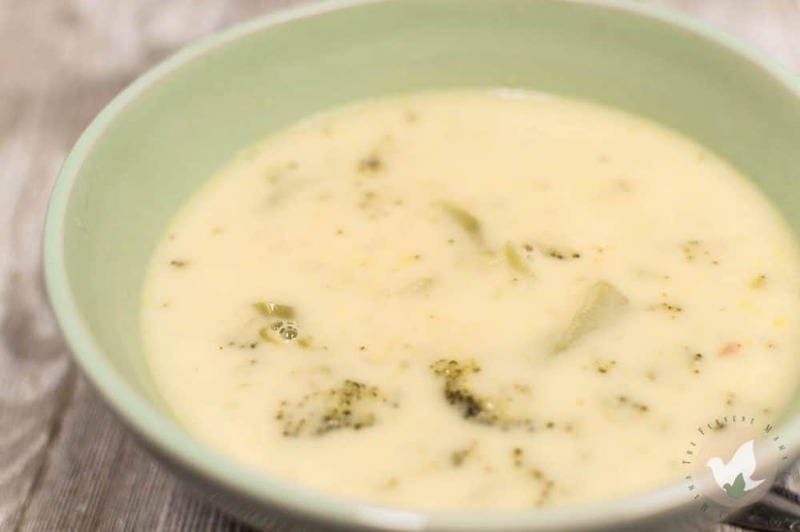 We used Campbell's® Condensed Cream of Chicken Soup and Swanson® Chicken Broth to create a creamy and delicious Cheesy Broccoli and Rice Soup! 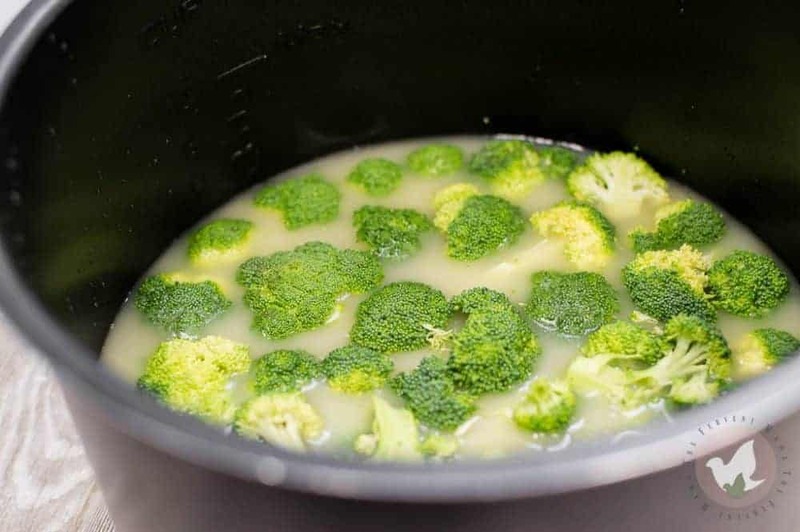 Into your Pressure Cooker, add Swanson® Chicken Broth, Campbell's® Condensed Cream of Chicken Soup, water, seasonings, and broccoli florets. Stir well. If you are using uncooked rice, add in the rice now. Close and lock lid. Cook on HI pressure for 4 minutes. When the timer goes off, perform a quick release and immediately add heavy cream and cheese. If you are using cooked rice, add in the rice now. Stir until cheese is melted. After The Great Flood of Baton Rouge in 2016, our local food bank was destroyed. 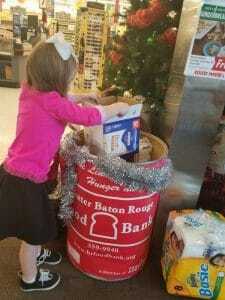 We decided to give back this holiday season by buying in bulk at Sam’s Club and donating our extra cans/packages of Campbell’s® Condensed Cream of Chicken Soup, Campbell’s® Condensed Cream of Mushroom Soup, and Swanson® Chicken Broth to the Baton Rouge Food Bank! This was a great opportunity to share with Johannah about giving back to our community and the importance of offering goods and time unto those who may be less fortunate. P.S. On Dec 21-22 Sam’s Club will be hosting their annual Holiday Taste of Sam’s event, a huge in-club demo sampling occasion. When you visit during the event, Swanson® Chicken Broth will be sampled with Idahoan Mashed Potatoes AND can get an extra $1.50 off Campbell’s® Condensed Cream of Chicken Soup and Campbell’s® Condensed Cream of Mushroom Soup. Check out more Campbell’s® Cream Soups and Swanson® Broth holiday recipes and inspiration here. Are you looking for a community of people who love their Pressure Cookers as much as you do? A group where you can share your favorite recipes, ask questions, and learn more about what you can do in your “magic pot”? Join our Facebook group Pressure Cooker Family Recipes today! Hey Waynee! Thanks for catching our mistake! We’ve added the rice to our instructions. You can either use cooked or uncooked rice, as long as you follow the directions accordingly!